Posted by Jon in Playmates, SDCC 2018, TMNT with 0 comments. Playmates has reached out to us about their latest batch of SDCC 2018 exclusives for the upcoming ‘Rise of the Teenage Mutant Ninja Turtles’ toy line. 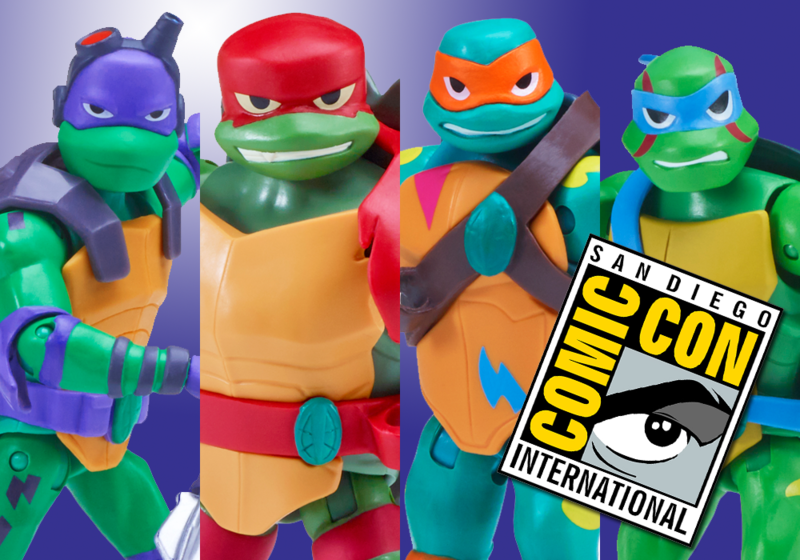 This year, there will be a total of four San Diego Comic Convention exclusives including Michelangelo, Donatello, Raphael, and Leonardo! Each figure will be packed in a premium window box, include additional detail, deco, and accessories. In addition to all of that, you get these figures a few months before they hit retail! Playmates Toys, the longtime master toy licensee for the Teenage Mutant Ninja Turtles, will offer four San Diego Comic-Con exclusive figures that are based on Nickelodeon’s brand-new animated series, Rise of the Teenage Mutant Ninja Turtles. Each figure will retail for $30 and will be available from Thursday to Sunday (July 19-22) at Nickelodeon’s booth, #4113.